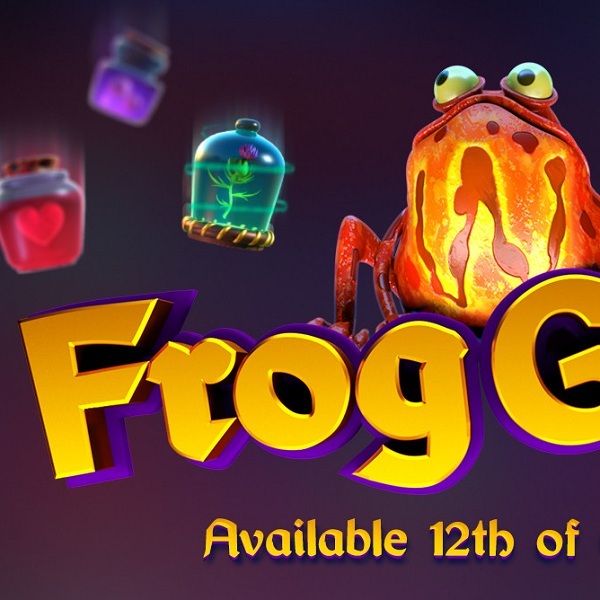 Thunderkick Games have just released Frog Grog slot, a game set in a mad scientist’s laboratory with some great features. It is a 5 reel, 23 fixed payline game with the reels taking the form of shelves in the lab. There are just six standard symbols: a moth, a flower, a heart, a pair of eyeballs, green potion and blue potion. The frog is the wild symbol and in addition to substituting for other symbols he will also remove all other symbols in his row and column and allow other symbols to fall into place. Every time that you land a win the symbol involved will disappear and more will fall to take their place and hopefully form more wins. For each win the multiplier increases from 1x gradually up to 7x. There is also a randomly triggered bonus where all symbols, except the moth, flower and wild, are removed giving a better chance to form a winning combo.